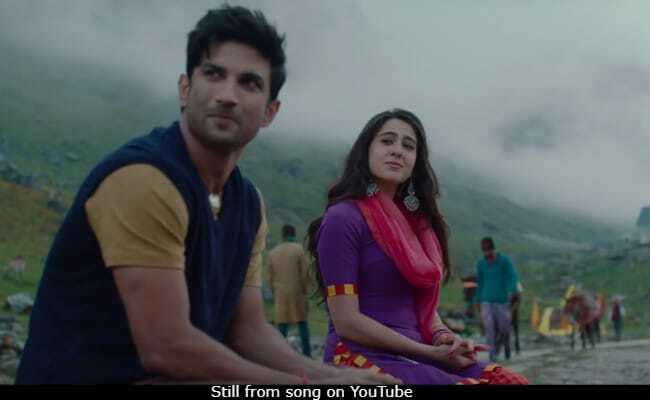 Sushant Singh Rajput and Sara Ali Khan added a brand new song to the playlist of Kedarnath. Titled Qaafirana, the song tracks the love story of Mukku (played by Sara Ali Khan) and Sushant Singh Rajput's Mansoor. The three-minute-long track is set against the picturesque landscapes of Kedarnath and is a collage of memories made by Mansoor and Mukku during their pilgrimage from Gauri Kund to the Kedarnath temple. The song Qaafirana shows that in course of the journey, Mukku, who is a Hindu pilgrim, falls in love with Mansoor, the pithu she's hired to cover the distance. While Mukku continues to drop hints about being affectionate towards Mansoor, he continues to be in denial till he ends up sipping tea from the same cup as Mukku's. The song elaborates on the many glimpses of Mukku and Mansoor offered in the film's trailer. Earlier, the trailer of the movie revealed Kedarnath to be a powerful love story set against the backdrop of the devastating Kedarnath floods of 2013. Qaafirana is the third song from the film to be released after the tracks Namo Namo and Sweetheart. Meanwhile, Kedarnath already has already been part of its fair share of controversies. The film's release date was rescheduled several times amidst an ongoing battle between director Abhishek Kapoor and then producer Prerna Arora. After her exit, Ronnie Screwvala joined the project as the producer. Kedarnath marks Sara Ali Khan's Bollywood debut and is all set to hit screens on December 7.